I am a huge dog and overall animal fan. I have on numerous occasions told people that my pure black German Shepherd Hansel was my DFF (Dog Friend Forever). Animals have dotted my entire life and sometimes I do get an affliction of treating them almost like another human. So maybe it is just me, but I’m appalled at the recent video surfaced on August 21st showing a man with his dog on a leash basically beating discipline into his dog while traveling in a closed elevator while staying at a hotel in Vancouver, BC. Sure we all have disciplined our pets, but not while they are seated on an elevator floor and by kicks to their middle regions or applying foot to hind quarters. For me it was a newspaper slight pop and putting their nose near their badly placed deposits. And neither of these actions were done out of anger, frustrations or even a hint of hurting my beloved pet. Subsequently after the British Columbia SPCA viewed the actions a search warrant was issued for Desmond Hague the current CEO of Centerplate Inc., which is the largest food services vendor that provides food options for us locally at Tampa Bay Rays, Tampa Bay Lightning, Orlando Magic games and at many other major sports venues in the U.S., Canada and the U.K. Even though the investigation into the animal abuse case involving Hague is on-going, it will be interesting to see how this event will effect in-stadium sales for Centerplate for the rest of the baseball season and possibly hurt the conglomerate during the upcoming MLB post season. Hague has issued an apology for his actions, but maybe it is a bit too late to possibly fend off the extremely negative effect such actions will have on devote animal loving fans and if the vendor will feel any significant financial pains while the case is open. I can definitely see fans possibly making a choice in the coming weeks by possibly invoking an in-stadium silent protest and just stroll by the Centerplate booths instead buying their food items at Centerplate vendors located within your stadium or arena. Centerplate also caters the Rays VIP areas like the suite area, Dex Imaging Home Plate Club, Hancock Bank Club, 162 Landing, Papa John’s Bullpen Box, Left Field Terrace, and new Back Porch group seating areas. 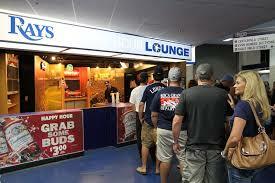 They also provide food and beverage items for the Everglades Brewhouse and the Rays Press Club. But even if you feel Centerplate should feel some sort of financial pain because of their CEO’s disregard, the vendor might not be the only one to feel less dollars in their pocket because of this animal abuse. A lot of the charities or team organizations also run booths that have to use Centerplate food and drink items and they could also feel a significant pinch to their fundraising efforts if fans decide to boycott buying in-stadium food or beverage items. Even worse, the beer, ice cream and cotton candy vendors who patrol both the bowl and upper deck areas are independent contractors who do not work for Centerplate but work on a commission basis when they sell you that cool beverage or neon-colored cotton candy. Such a protest could affect them. 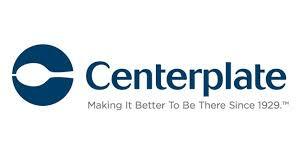 So if you do plan a silent protest of Centerplate please be sure decide individually who you want to hurt the most. 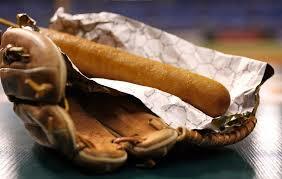 You are permitted to bring outside food into Tropicana Field as long as they fit into these parameters. All items must be for individual or single family consumption. The items should be wrapped, bagged or contained in individual proportions in a soft-sided container not to exceed 16 in. by 16 in. by 8 inches. Only sealed water bottles no larger than 1 liter and child single-serving juice boxes are permitted into the stadium. I’m a firm believer in discipline in your animals, but not by forcing fear of physical retaliation into their training or projecting violent interactions with an animal that can’t defend or speak for themselves. My actions is in no way a negative reflection on the Rays overall organization, their staff and hope my stand is not viewed as a disapproval of their connection with Centerplate because no one could of seen this event coming without psychic ability. 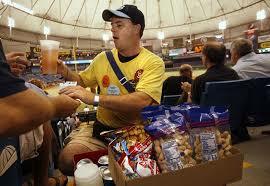 As of this moment, and during the rest of the Rays 2014 season (which hopefully extends into October), I personally do not plan on buying a single food or drink item from a Centerplate operated stand. 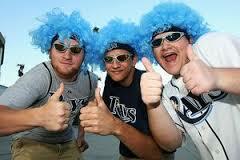 I do however plan to show support for the volunteer fundraising organizations throughout the Trop. by donating to their cause via tips not food or drink purchases, the tips will never touch the hands of Centerplate and will be the sole monetary property of that organization. 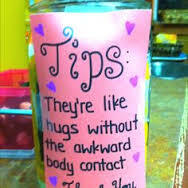 The fundraising organizations should not be collateral damage for this event and hopefully will see a lot more tips coming their way. I’m going to eat before I hit the stadium for a while and lug around a 1-liter bottle of Aquafina I purchased before entering Tropicana Field. It is as much in a sign of protest as it is cheaper on my wallet overall and will give me my own small sense of doing the right thing. I worked with Centerplate for many years as their Pepsi representative and most of the employees, supervisors and managers are good people who would or could not do such actions privately. I am venting my disgust upwards way beyond their pay grades to the highest level who has done the unthinkable in my opinion. I am not an active animal right activist, but I do believe in the fair treatment of all creatures not mosquito, brown recluse spider or cockroach, but that is just me. Unfortunately I do not have the means or proper media influence to let the visiting fans coming into the Trop know about this event. But hopefully the Red Sox, Blue Jays, Orioles, Yankees and White Sox faithful are abreast of the Centerplate situation and will take their own actions. Hopefully Hague will get what coming to him in the coming months, but even in Canada you can’t strike Hague in punishment with the same swiftness he hit his defenseless dog.